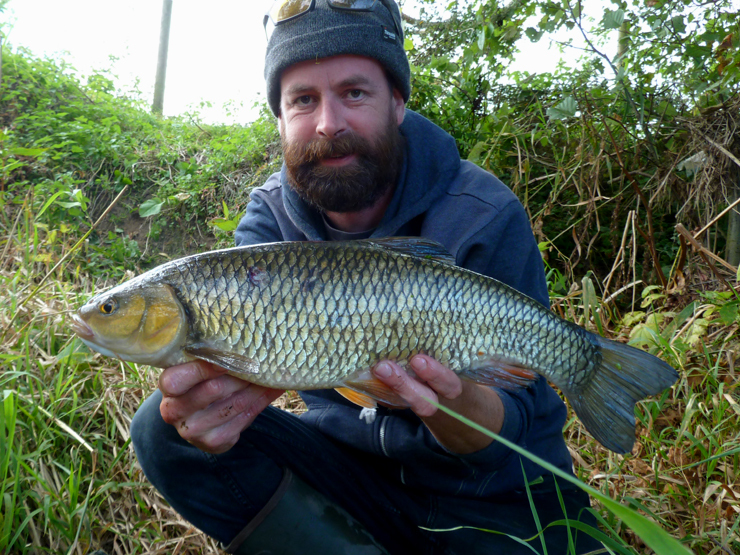 A second trip to The Stour hoping to better last times PB chub of 5lb 14oz and hopefully push me over the six pounder mark. 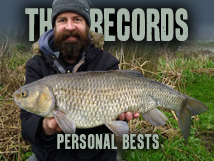 It's not easy fishing, in fact it's tough going, but the odd glimpse of a monster keeps you focussed. James opened proceedings with his tradition chub first cast, just under five pounds, and I was so close to falling in netting it - how I turned and grabbed the vegetation I don't know - perhaps I'm a secret ninja? 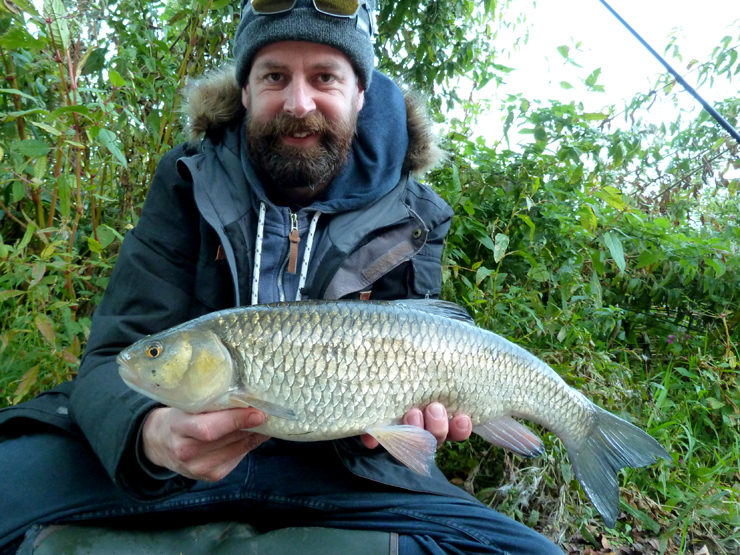 I had a lot of ideas since the first trip on this section and plugged away throughout the day landing chub of 3lb and 4lb 2oz on rolled meat, a 4lb 1oz chub on float fished maggot, and a 4lb 4oz on ledgered meat after dark. The big ones didn't come out to play and we didn't surpass the five pound mark this time, but I'm starting to get a handle on it and will hopefully find a six soon - fingers crossed. 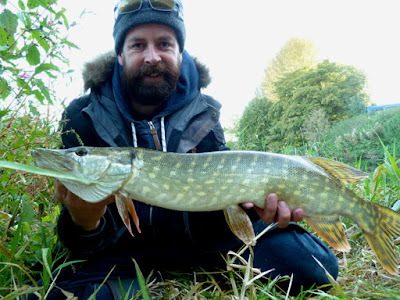 I did land a surprise pike on rolled meat, hooked fair and square and was even more surprised it didn't bite through the line. Plus 4 grayling to about 12oz and some smaller chub on the trotting gear... Can't wait 'til the next trip. a trace (for more flexibility), considering that -when hooked-, the pike will bite on the lure, and not through the line. Daytime chub fight, in the dark you can just wind them in, I have a theory that they can't see a snag to aim at in the dark. The pike had bitten the line in several places, and it snapped easily in my hands after - good degree of luck that I landed that. And I've had them swallow a Mepps before, I always use a wire trace even if lure fishing for chub.